My first two mini books are practice runs for my real book. Self-publishing all on my own made me realize next time around I need beta readers and a real editor so my writing and presentation are professional looking. Echoes of the Divine was published for free on Smashwords first and has 198 reads in three weeks but is the highest rated Christian Family Living book since 2011. I only begged two people to rate it, so this is basically an honest rating ( laughing). 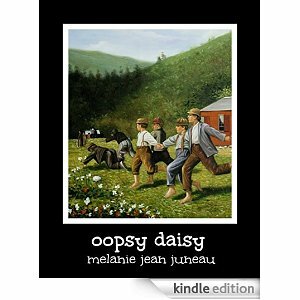 Since Oopsy Daisy is on Amazon exclusively for three months, it will hopefully be free on Sunday. The following image is my author page and is linked to Amazon. All the very best with the books, Melanie. You will, I’m sure, gain a lot of experience with your practise runs which will help you to make the main book a real gift to your readership. I promptly visited Amazon and purchased both of the books, thank you for your efforts of doing the Lord’s work, I can’t wait to get to reading! !